VSP® Vision Care, the nation’s only not-for-profit vision insurance company, announced that its 75 million members in the United States will now be able to save more on their health and wellness thanks to a new discount program called VSP® Simple Values.A complimentary offering and new element of VSP’s Exclusive Member Extras, VSP Simple Values provides eligible members and their families with access to savings on a comprehensive suite of discounts for products and services like: prescription drugs, diabetic care supplies with home delivery, 24/7 telehealth access to medical doctors via phone and video visits, entertainment, travel and more. ​With the Cadillac Tax urging employers to cut health care costs in 2020, help boost your clients’ employee retention and satisfaction with more robust voluntary benefits. For more strategies and voluntary benefit options ​watch this short video from EBA and VSP Vision Care.For questions, please ​contact a member of your b&p Sales Team - 888. The VSP GetFIT Program® is a complimentary turnkey wellness program that includes easy, customizable tools that can contribute to lowering your clients' healthcare costs and improving productivity.​Click h​ere to view a printable version of the above flyer.For questions, please co​ntact a member of your b&p Sales Team - 888.722.3373. ​Your clients' employees can still add an extra $20 to their frame allowance by choosing from our wide selection of featured frame brands at their VSP doctor's office. Share this ​easy-to-​use coupon with your clients.For questions, please ​contact a member of your b&p Sales Team - 888.722.3373. Consumer-driven health plans and personalized benefits will continue to gain popularity in 2016, as employers look for ways to lower healthcare costs and attract top talent. ​Read more about the emerging benefit trends in this article from SHRM®. For questions, please ​contact a member of your b&p Sales Team - 888.722.3373. Drive engagement during voluntary enrollment with these turnkey promotions resources. 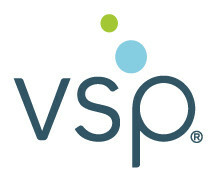 VSP puts their members first by providing exclusive special offers from VSP and leading industry brands, totaling more than $2,500 in savings.Find these communications tools and more at vspresources.com.For questions, please ​contact a member of your b&p Sales Team - 888. The benefits your clients offer are very important to their millennial employees. Millennials are the largest population of employees in the workforce — more than one in three U.S. workers are between the ages of 18 and 34. Learn how your clients can to appeal to this influential audience by offering tailored benefit packages with more choice and control. VSP has announced a moderate rate increase for January 1, 2016 through December 31, 2016 effective dates with no changes to benefits or underwriting. All rates are available for quoting! RATES Signature Plan Core/Employer: 1% increase	Voluntary: 1% increase Choice Plan Core/Employer: 1.5% increase	Voluntary: 1% increase IMPORTANT NOTE: Your clients that renew in 2016 are coming off of a multi-year rate guarantee and will absorb and rate increases that were made in previous years. ​The VSP Global® innovation lab, known as The SHOP, has developed the first wearable tech prototype from a healthcare company to seamlessly integrate health-tracking technology into optical frames. View the technology in action by clicking ​here.For questions, please ​contact a member of your b&p Sales Team - 888.722.3373. ​VSP® Vision Care puts your clients’ employees first by delivering the best value through Exclusive Member Extras. For a limited time, they’ll receive an extra $40 to spend on top of their allowance when they select a bebe®, Calvin Klein, Flexon®, or Nike frame*. The $40 is automatically applied to their purchase at their VSP Network Provider – no hassle, just great choice and value.